Preliminary results of AIB’s burden-sharing exercise, largely cleared by the courts last week, are positive for the public. 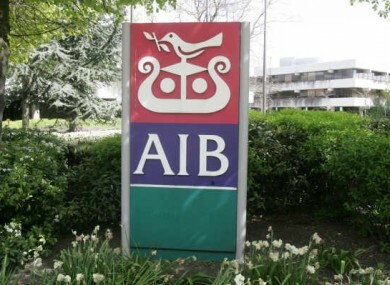 AIB HAS REVEALED that it has saved the taxpayer approximately €1.6bn through its moves to partially burn its junior bondholders. Preliminary results of the bank’s plans to enforce a burden-sharing plan on its subordinated bondholders – approved by the High Court last Thursday – show that many junior bondholders have accepted the bank’s offer to buy back their bonds at a significant discount. 86 per cent of the junior bonds eligible for the programme are to be cashed in – with the end result being that the bank has created €1.6bn of capital, reducing the public’s bill for keeping AIB afloat. Two of the bank’s 16 current types of junior bonds are still the subject of a legal challenge from the Aurelius Capital Management group, which is fighting in the High Court to stop AIB from writing down the value of their investments. On Thursday the court ruled that only the two types of bonds owned by Aurelius were subject to the legal challenge, meaning AIB could proceed with its plans for the vast majority of its junior bondholders. Finance minister Michael Noonan said he welcomed the announcement, and said he expected further phases of AIB’s burden-sharing measures to further cut the amount required from the public. Noonan affirmed that the government intended to pursue similar measures for Bank of Ireland, EBS and Irish Life & Permanent. Email “AIB saves taxpayer €1.6bn by burning junior bondholders”. Feedback on “AIB saves taxpayer €1.6bn by burning junior bondholders”.